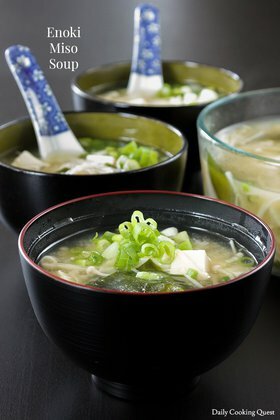 When miso soup is mentioned, most people will automatically think of wakame and tofu miso soup. 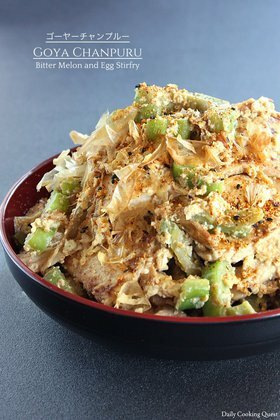 But actually there is no rule that you can only make that one kind of miso soup. 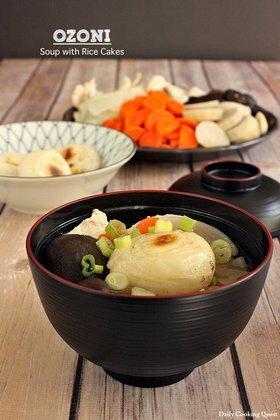 You can use other ingredients too, such as carrot, daikon, konnyaku, burdock, or mushrooms such as shimeji and shiitake. This time I am going to use another popular combination, spinach and egg. I love using baby spinach, but you can use regular spinach, just need to chop them up into smaller pieces first, you can even use frozen spinach if you only have those at home. For vegetarians and vegans out there, dashi stock is typically made of fish, so the soup is not going to be vegetarian/vegan friendly, but you can make your own vegetarian stock such as shiitake dashi (add enough water to cover dry shiitake and soak overnight, the liquid can be used as soup stock, and the rehydrated shiitake can be use in other dishes, or even add into the soup for a heartier soup) or konbu dashi (soak about 30 cm konbu with 2 liter water overnight, then bring to a simmering point, discard the konbu, and use the liquid as soup stock). Heat dashi stock in a soup pot until simmering, then add miso paste, stir and blend until all the miso paste is thoroughly mixed into the soup. Once the soup returns to a simmering point again, add spinach, stir well, and cook until the soup boils. Once the spinach is fully cooked (the color should turn a darker shade of green), take the pot off the heat. 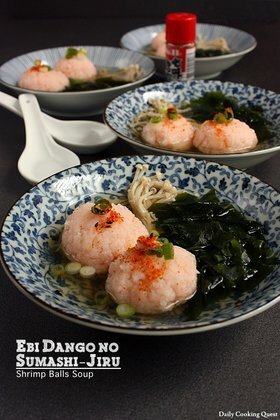 Gently pour beaten egg into the soup while stirring the soup to create a fluffy egg drop like texture. Serve hot.